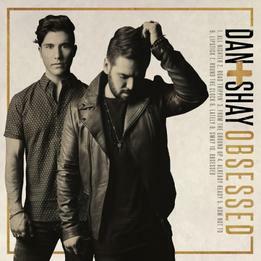 Obsessed is the 2nd album for the relatively new comers on the Country scene Dan Smyers and Shay Mooney, collectively known as Dan + Shay. The two guys only actually met in 2012, so have not known each other that long. Would you be surprised if I told you they met in Nashville? As soon as they met they gelled and they started writing songs together the day after they met! 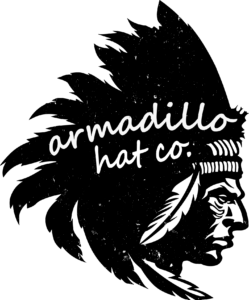 Their debut album Where it All Began was released in April 2014. Three of the tracks were released as singles, with Nothing Like You (the third single to be released) reaching number 1 in the US Country Airplay charts. Obsessed was released 3rd June 2016 and a tour of the UK was announced shortly after this. The boys will be visiting Glasgow, Manchester, Birmingham & London in September. If you haven’t got tickets you will have to be quick as there are only tickets still available for Glasgow & Birmingham, the other two venues are sold out! All Nighter starts us off. The song starts by counting us in which really reminds me of the UK act Holloway Road as Jack Cooper starts a few of their tracks live by counting in. (On a side note, if you haven’t seen Holloway Road live you really should, they are amazing with a very vibrant energy!) Sorry, I digress!! After being reminded of Holloway Road I am then immediately reminded of Rascal Flatts! This track would not sound much different if it were recorded by them and I think if you heard it on a playlist or when you were out somewhere you would be forgiven for thinking it could be Rascal Flatts (Dan + Shay have actually written for Rascal Flatts, so may be it is no surprise there is some of their influences on the boys!) The track is about spending the night with his girl driving around with no particular purpose other than spending time together and taking a chance on love. It is a really sweet track and the up tempo beat that I personally like albums to start with, so, off to a good start! Road Trippin stays with the theme of taking a drive, this time with a bunch of friends and just taking time out of it all & just doing what they feel like for a while. You get the feeling of hot sultry nights & you can imagine being down on the river bank with them! The next track – From the Ground Up was the first track from the album to be released as a single in February this year. It is another really sweet song with a very strong family values sentiment, a very typical Country music theme. It starts off talking about his grandparents and how they started the family and how it is now their turn to continue to build the family. It is about working hard at their relationship and not taking each other for granted. There is a lovely line in this track – ‘I’ll be the man your dad hoped that I’d be.’ I really like the emotion behind this track. does love the fact though that everyone is checking her out, he is proud of the fact that she is going home with him. We have a change of theme in How Not To. It is a break up song. He knows the relationship is over but he doesn’t know how to let go. You always imagine men being able to just walk away from a relationship when it has finished, but in this track he just wants to go back and be with her, even though he knows it is wrong. Again this track has traces of Rascal Flatts in it. Lipstick is written from the girl’s angle. She is getting ready for a blind date, even though she doesn’t really want to go, she is putting on a brave face when her heart really isn’t in it. You get the impression she is still heartbroken from a previous relationship and her lipstick is her mask! With the next track we are back to being in love and he wants to love her Round The Clock! You get the impression here that it is the beginning of a relationship, he can’t get her off his mind and all he wants to do is make her happy. I am getting a bit bored of the sameness of the theme of these songs now! The relationship is going through a rocky patch in Lately, life has got in the way. He realises he has been taking her for granted and not paying her enough attention. With this track he is telling her she is still beautiful, she still drives him crazy (in a good way, not crazy nuts!!) and he does still love her. In the penultimate track Sway he wants to take a bit of time out with his girl, hold her in his arms and dance, just the two of them, no one else. You can imagine that this is the end of a tough day in the office and he just wants to leave everything behind him, relax and soak her up. The title track Obsessed is the final track. It is a funky number with him being completely obsessed with her. This is the only track on the album that I do not like! I can’t get One Direction out of my head for some reason. Many of the tracks on Obsessed are evocative and you can imagine yourself at the scene with the people in them. Playing it from start to finish though, I am really not that keen on this album! All but one of the tracks is about being in love and all the adulation and worship gets a bit monotonous, it needs to be shaken up a bit! However if the songs were in mixed playlists – ie not listened to one after the other, Obsessed is the only track I would skip. In addition, many of the tracks sound similar to other artists. I have already mentioned Rascal Flatts and One Direction, I can also hear Thomas Rhett and Brett Eldridge. The words to Already Ready and How Not To are very similar to Getting you Home and Tomorrow from Chris Young. In my opinion the songs all have Country themes and words, however the album as a whole combines the Country sound with a funk and soul type feel. Like many up & coming country artists now, the sound is being updated & aimed more towards the mainstream market and I am of the ‘do not like’ party. I want Country to stay Country! Final word, I would like these guys to branch out a bit, dare I say man up and not be so sugary and soppy!